Google announced its annual Year End Zeitgeist, a look at 2013 through the collective eyes of the world on the web, offering a unique perspective on the year’s major events and hottest trends based on searches conducted in Pakistan. The event was held today in Lahore. 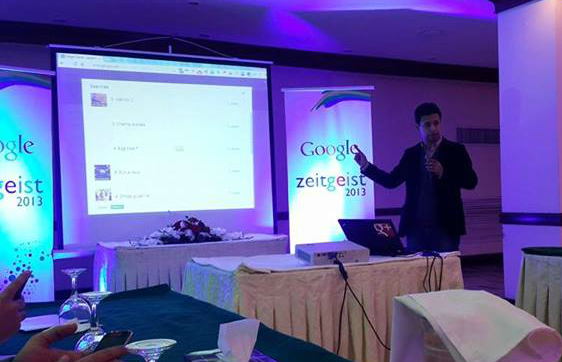 In addition to showcasing what people were curious about in Pakistan, Google Zeitgeist tools also offer insight into which topics captured the world’s attention in 2013. Top search terms from over fifty countries appear on Google Zeitgeist webpage, googlezeitgeist.com — from most-searched travel destinations in Brazil, to trending Australian celebrities, to most-searched Egyptian Olympians, to top tech gadgets in Japan and everything in between.